Islam has placed great importance upon the performance of prayer, not only the physical act but the mental and spiritual role as well. 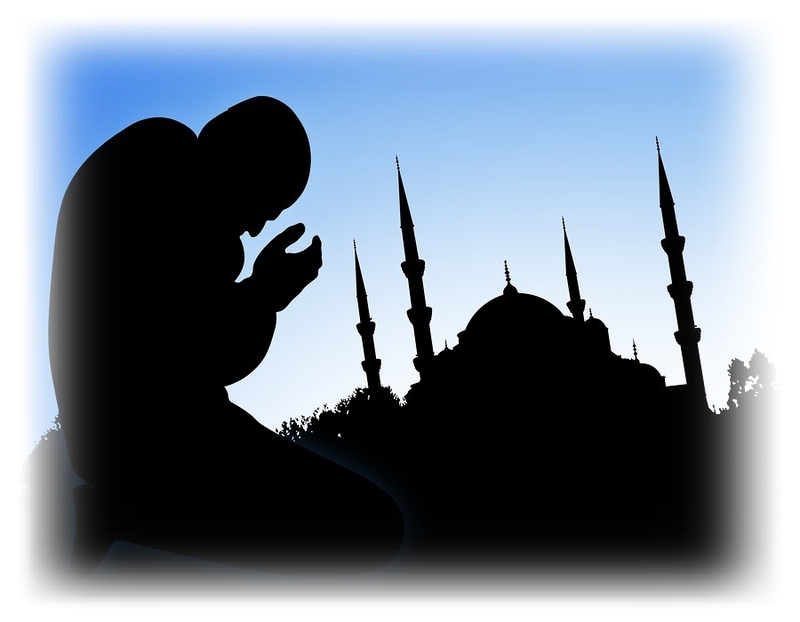 What is this importance of prayer in the life and afterlife of a Muslim? What are the consequences of prayer? 1. The first thing you are required to do after pronouncing Shahadah is Salah. Salah is a primary pillar of Islam. In other words, it upholds one's Islam. Abandonment of prayer will negate a person's Islam. Without Salah, one becomes a Kaffir. Muslims, in general are very deficient in their Salah. These deficiencies range from small to severe, yet everyone suffers as a consequence. Prayer benefits the individual as well as the society. If this benefit is not gained, not only will the individual Muslim suffer but the society will face the loss as well. The situation of today's Islamic society is not very optimistic and it is worsening. This is due to progression of sin and lack of repentance. In order to combat this we must return to the performance of obligatory acts and render them as they should be performed. This, especially in the case of Salah, will do much to improve the state of Muslims. Why be astonished at our deterioration if our own Salah is cursing us/ A "return to Islam", involves true, sincere repentance and obedience of Allah's commands, If believers don't stop sinning, punishment will come from Allah, (swt). Absence of Haughtiness: This characteristic, which is found in most, constitutes pride and self-sufficiency. It must be completely removed. This does not mean that we must belittle ourselves to a state of worthlessness. It simply means that we should realise our deficiencies and eliminate any feeling of lack of need for Allah. We are in need of Him not He of us. Humbleness: Once the self-pride and self-sufficient feelings are removed, Allah's greatness is magnified. We cannot but feel meek, insignificant, and submissive and thereby humble ourselves and acknowledge our true need for Allah(swt). Acceptance of Commandments and Compliance Through Actions: This refers to the total surrender to the Creator, The owner of the Worlds. Khushoo' is a complex of different morals, feelings, and intentions, all of which are directed to Allah, the fruit of which is compliance through physical actions, This constitutes true extraction of oneself from whatever may prevent this sincerity, feeling the Might and Glory of Allah, and feeling humility and the tremendous power of Allah coupled with complete poverty to Him only, (swt). It is to stand before Him with our hearts placed sincerely in His hands. Though this submission, this khushoo', is emphasised in Salah it should be characteristic of every intention, word, and deed we perform. We recite this verse regularly in our prayer, at least seventeen times daily. How often do we recite it for the sake of recitation outside of prayer? We should do so more often. It is actually a complete prayer of supplication to Allah for guidance. When you are bowing in rukoo' you praise Allah. When you are in prostration you are the closest you can come to Allah. It is here that you should supplicate and ask Him for your needs. All of your life's problems should come out in your prostration's, remembering that it is we who are in need of Allah not Him of us. When submission is truly established in the heart, only then will a Muslim be known as a humble person. Only through true submission of the heart will the rest of the body. - which carries out words and actions - comply with discipline to the commands of Allah. This is the true meaning of Islam - actual acceptance then compliance through obedience to and performance of whatever command Allah has commanded. So submission is not confined to Salah alone. Actually, submission is Islam. To understand this, we must grasp the deeper connotations of khushoo'. A person may feel that he has khushoo' yet this is not apparent in his actions. This is not true khushoo'. Submissiveness and humbleness cannot possible end with prayer. It affects a person's entire attitude and action, not limiting itself to Salah. Many of today's Muslims feel that their level for Islam is sufficient. This ayah addressed the Companions of the Prophet (saws). Though they were pious, righteous and very devoted, Allah (swt) wanted them to improve themselves. To pronounce the Shahadah as well as spread it to others. To believe in whatever we were told by the Prophet (saws). To believe the truth of the complete knowledge and wisdom of Allah in what he has commanded us to perform or abandon. To perform good deeds and refrain from bad ones. To comply and obey and accept. If these things are applied to Salah, along with firm belief in the importance and benefit of Salah, then it is sure, Insh Allah, to increase our khushoo' which will in turn increase our faith. "Blessed in deed" involves sincerity and emulation of the Sunnah. No better advice is given to a brother Muslim than to tell him to fulfill these two things. Without them, he will have lived his life for nothing; all his deeds will have been lost. Through them, all deeds will be saved and protected, and by Allah's mercy, accepted. Salah is indeed a gift. There are many who don't like Salah at all, and when they hear the Adhan they could car less. Those who find in Salah the benefits that Allah bestows upon His servants, who perform it as it should be performed, are joyful to be called to prayer. Be thankful and appreciative in your heart for the gift of being able to perform Salah. One of the enemies of sincerity is admiration of one's self. Pride is a type of shirk, an association of oneself with Allah. Never admire yourself or your deeds, particularly your prayer. Look to those who are better than you. This will encourage you and humble you. Knowing Allah (swt) by His names and attributes, appreciating His Lordship. To acknowledge religion and guidance as being from Allah. If it wasn't for Allah's guidance we would not be Muslims, so at least out of thankfulness we should be humble and sincere. To look at our defective selves and actions. No matter how much we try, we will never be able to perform worship to the level that Allah deserves. This should build a competitive feeling in us, an ambition to do more, to try harder, hoping for Allah's mercy. This is what it means to feel complete poverty to Allah. As well, we should look to those who are better, who are very God-conscious and fearing. This will help to develop the desire for humility. Failure to apply reflective inspection to oneself will only serve to increase one's defects. Go and visit the sick, the very sick, that lie in the hospitals. You will deeply appreciate your seemingly simple blessings which will in turn increase your sincerity in worship. According to the words of the Prophet (saws): "Pray as you have seen me pray." Prayer, as well as all other acts of worship, can only be considered perfect and complete if it is in accordance with the Sunnah of the Prophet (saws). They must be totally free of innovation. Otherwise they will be rejected by Allah (swt). Recitation of the Qur'an and Dhikr, accompanied by contemplation of the meaning is one of the most tremendous ways of softening one's heart. "Those who believe and whose hearts find satisfaction in the remembrance of Allah; for without a doubt in the remembrance of Allah do hearts find satisfaction." Qur'an 13:28. "And remember Allah frequently that you may prosper." Qur'an 62:10. Make it a daily habit to examine your Salah critically. If there is any defect, repent and try to eliminate this defect, as sin without repentance blocks your way to success. Don't let Shaytan defeat you -just keep trying. Maintain a high spirit and ambition, holding firmly to your faith and seek strength only from Allah. Consider the example of the Prophet (saws), who was protected from error, who has been guaranteed paradise. He would ask Allah's forgiveness 100 times a day. What then should be expected from us? Assessment of oneself is not meant to instill a feeling of failure or incompetence. As long as your intention is to do good, you follow through with it, and you continue trying, the reward will be given to you. Recognising your defects shouldn't pull your spirit down but should rather motivate you to improve. Remember that strength is the key to closeness with Allah. The renown scholar, Ibn Al-Qaym, has said that on two occasions the servant of Allah will be between the hands of Allah: On the Day of Judgement and in Salah. Whoever perfects his stand in this life will have an easy stand on the Day of Judgement. When you stand to pray and pronounce "Allahu Akbar", reflect upon the meaning of Allah's Greatness, hoping for His reward and fearing. His punishment. When you bow for rukoo' and say, Subhana Rabbi Al-Adheem strive to refine the inner feeling of your own impotence and insignificance before the Might and submission in prayer. Your words Subhanna Rabbi Al-A'alaa should be said with full awareness of your complete poverty to Allah. When you conclude your prayer, feel a sense of gratitude to Allah, for having enabled you to complete this act of worship. Imagine that you are saying this farewell prayer of yours and that you may not live to offer another like it. Remember the hardness of the Day of Judgement when we shall all stand before Allah, fearful and ashamed of what we have to present to Him. It is for this reason we should avoid concerning ourselves so much with this life and concentrate on that which will be of benefit to us on that day, particularly acts of worship. Nothing else deserves the importance of remembrance of this day. Those who ignore this Ayah love the world and are forgetting the heavy day that they will face. Consider the seriousness of the Day of Judgement. Remember death. Remember that your life here is only temporary and can be short. Truly those who possess Khushoo', the Khashi'een, seek help in patience and prayer. They know and realise the importance of the Day of Judgement and appreciate that they will meet with their Lord. This is a positive anxiety which pushes them to do more. They know that as long as they are alive they have a chance to do something to improve their stand on that Day. And they take advantage of each and every chance. * One whose leg was in need of amputation was faced with the difficulty of surgery without anesthesia. He was offered alcohol to help decrease the pain he would undoubtedly feel but he refused saying: Cut it off while I am in prayer. The amputation was completed while he was in Sujood. * Muslim bin Yasaar was praying in the masjid when a portion of the building collapsed. He was completely unaware of the event due to his Salah. * 'Amir bin 'Abdullah was one of the humble in prayer. He was asked: "Does anything come into your mind in your prayer?" He replied: "Is there something that is more beloved to me than Salah that should come to my mind." They said: "Verily, things come to our minds when we pray." He said to them: "Such as Paradise and the Maidens of Paradise and thing like this?" They said: "No. Our families and our wealth." 'Amir replied: "I would rather spears pass through my body than get that sort of thing in my prayer." We should look to their level of concentration, love them for their deep faith and strength, and ask Allah to make us like them. They show us that the fundamental elements of prayer are not the mere rituals but rather humility and conscious awareness. One who has khushoo' benefits enormously whereas one who is lacking in khushoo' will suffer various consequences. By knowing the rewards associated with khushoo' and the punishments for the lack thereof, we may better conceive the importance of developing this very special aspect of Iman. 2.The right to enter Al-Jannah through Baab As-Salah - The door of Prayer. 3. Khushoo' will provide you relaxation and will become 'pleasing to the eye'. You will experience tranquillity and calmness. However, such things come only through jihad and patience. Whenever you are in need or trouble - pray! 5. Help's one's conscience and purifies and perfects other deeds. Indeed all of our actions, word and deed, are affected by our Salah. And, Subhan Allah, it works in two very simple ways. Submit more in Salah and you'll submit in other deeds...and vice versa!!! 6. Perfects one's morals, manners, character and attitude. This is known as Husnul Khuluq. 8. Brings you close to Allah (swt). "Verily when a Muslim performs Wudu properly, and then observes Salah five times a day, his sins fall off just as these leaves have fallen off. 10. The Love of and from Allah. This is the highest of rewards. "My servant does not draw near Me with anything more loved by Me than the religious duties I have imposed upon him, and my servant continues to draw near Me with voluntary works so that I shall love him. When I love him I am his hearing with which he hears, his seeing with which he sees, his hand with which he strikes, and his foot with which he walks. Were he to ask (something) of Me, I would surely give it to him; and were he to ask Me for refuge, I would surely grant it to him." 1. Life will be full of discomfort, agony and misery. Sufferings in life may be evidence of one being upon the wrong path, or relief of sufferings a sign that one is upon correct guidance. A German man suffered continually from migraine headaches. No treatment was of any relief, despite his constant search. He happened upon a Muslim who was offering prayer. He was so interested that he waited to inquire as to what this act of worship was and to what religion it belonged. His interest in the prayer, and the religion which commanded such as an act, was due to the prostration - he had found that he could only obtain relief from his pain while in such a position as that which is assumed in Sujood. He eventually accepted Islam and has not, Subhan Allah, suffered from migraines since. 2. All deeds will be bad - a complete loss. If Salah is not performed, it will definitely affect our other deeds in life. 3. Destruction of the bond of brother/sisterhood in Islam. If we are unable to develop khushoo' with our Lord how can we expect to care and feel for our brother Muslims? Without the benefits that are attained through khushoo', Muslims will part from each other and hatred will be given freedom to develop. 4. Depletion of morality and righteousness. Without submission and humbleness, we will be faced with a society of aggressive, self-centered personalities who have no concern for Allah and Islam. 5. Rejection from Allah. We know the great benefits of Allah's love. What will become of us, if He turns away from us? In the tafseer (explanation) of this Ayah it is mentioned that the phrase who lost Salah does not mean that they completely stopped praying, but that they delayed it, not praying it at the proper time. Stray thoughts may be prompted by something external. We should fulfill such bodily needs as necessary to concentrate and gain complete benefits from our Salah. We should sleep and eat well. We should protect ourselves from the elements of weather so that cold and heat do not cause us discomfort. Our clothing should be comfortable, not irritating. Our attention is caught by anything which happens to engage our eyes and ears. We should distance ourselves from noise as much as possible to avoid distractions that are possible to control. There is indeed great difference in he who learns and spreads what he learned and he who does not. It is without doubt that khushoo' in Salah is one of the greatest assets a Muslim can possess in his faith. It comes with struggle, perseverance, and patience and is obtained only by those who work for it, who really set their sights where they should be. "When the time for prayer is at hand. I make a proper ablution, go to the spot where I attend to pray and sit there until all my limbs and organs are in a collected state. Then I stand up to perform my prayer, placing the Kabah between my brows, the bridge over Hell beneath my feet, Paradise to my right and Hell to my left, and the Angel of Death behind me, thinking all the while that this is my final prayer. Then I stand between hope and fear. I carefully pronounce "Allahu Akbar!" Then I recite the Qur'an harmoniously, bow in humility and prostrate myself submissively. I then sit back on my left haunch, spreading out the left foot, raising my right foot on the toes. I follow this with sincerity. Then I wonder whether or not my prayer has been accepted. So, as we can see by this example if we could imagine ourselves in this same position, which we are really in though we can't see it visually, we would soon make the realisation that this prayer of ours is of the utmost importance. We as Muslims, must not only be willing to commit to Islam but we must be ever ready to sacrifice our desires for what will be best for us - in the long run. We should always reflect on the life of the Prophet (saws) and the companions, their struggles and (in this life) very few personal accomplishments - by worldly standards. Their sights were always focused on what they would hopefully achieve in the next life and for the success of the Deen . Make this your aim, not the aim of what you can achieve in this world because you and it will pass away, all that you achieve here other than for Allah (swt) is worthless to you. So don't waste time - this truth is available to all who sincerely seek it. Now you have your priorities right - your goal is set. Go For It! Islam is easy, we are the ones who cloud and confuse ourselves.